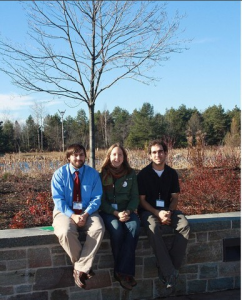 On November 8th and 9th Sustainability Coordinator Kate Glenn will lead a team of students from Paul Smith’s College including, Jessie McCarty, Matthew Philips, Hannah Rion, Val Hoffman and Sebastian Huber, will be attending the 9th annual Adirondack Youth Climate Summit at The Wild Center in Tupper Lake. 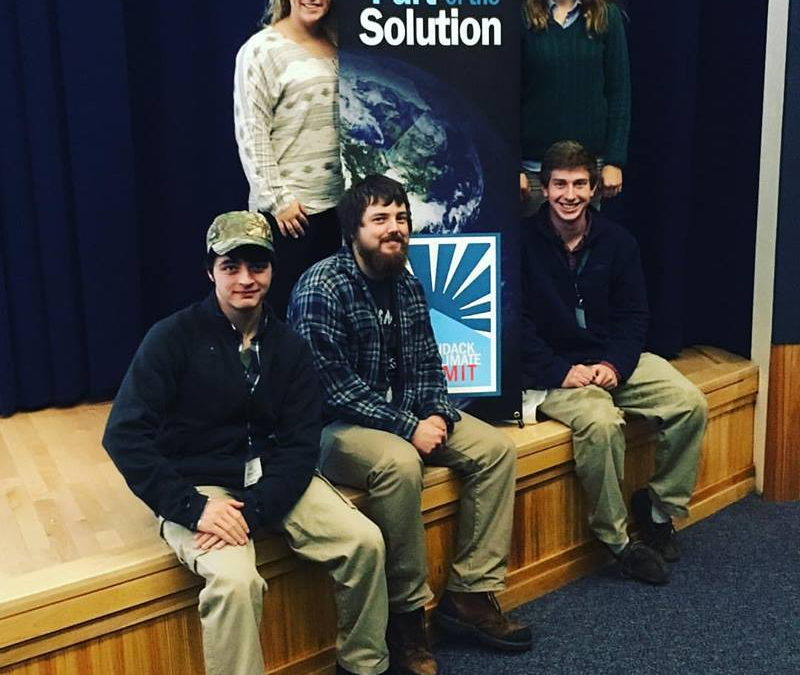 The summit began in 2008 after a student from a local area high school contacted the Director of Programs, Jen Kretzer, with the idea hold a conference for high school students to learn about climate change and strategies to lower their carbon footprint. What started as a small conference with about 5 schools, has now blossomed in to a huge event with over 200 students from 30 high schools and colleges. The summit consists of two days of plenary speakers, hands on workshops, and some motivational activities. 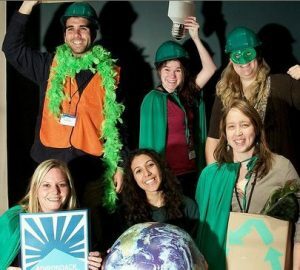 Using the information from those workshops, along with goals the schools set before going to the event, each school develops a Climate Action Plan. The climate action plan is a well developed plan for each school to take steps towards carbon neutrality. In a CAP each school sets Climate Neutrality goals for this year, next year, and the years to come. Since the first AYSC at the Wild Center, Youth Summits have since popped up all across the country and even the world. The Wild centers climate action program has even received recognition from the Whitehouse during the Obama administration. Paul Smith’s college has attended and sponsored the AYCS since it started. Over the past few years the college has even sent plenary speakers as well as faculty that have hosted workshops. Curt Stager will be a plenary speaker at this years summit. Valarie Hoffman and Kate Glenn will be hosting a workshop. This year the Paul Smiths team hopes to accomplish several things, including the update our current Climate Action Plan so it better suits our school’s current sustainability needs. Including to sync the goals of the STARS reporting system with the updated CAP. This year’s team will also be focusing on plans to redesign a new food waste management system. Since the North Elba biodigester project was canceled, we need a new plan for our organic waste. We’re looking forward to another Adirondack Youth Climate Summit! !